Ann Catherine Cross School of Dance 2018-19. I am aware that ballet dancing, and that gymnastic exercises associated with it places unusual stresses on the body and carries with them the risk of physical injury. On behalf of my child and myself (and if I am no longer a minor, on my own behalf), I assume the risk and understand that Ann Catherine Cross Schools of Dance, Inc., shall not be liable in any way for injuries sustained during attendance at the school or any of its related functions. 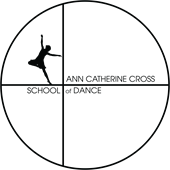 I grant my child or ward permission to participate in the Ann Catherine Cross School of Dance, Inc. 2018-2019 school session. I hereby release and discharge Ann Catherine Cross School of Dance, Inc., its agents, its employees and it officers from all claim to all personal injuries caused by or arising from, the above described activities of any activities related thereto. I agree that Ann Catherine Cross School of Dance, Inc., its employees, and agents, program sponsors and facilities or any other person or organization associated with Ann Catherine Cross School of Dance, Inc., and the 2018-2019 productions shall be released and entirely discharged from any liability, action or cause of action arising from or related to the 2018-2019 production and any damages or injuries to my child, myself, or any family member arising from such activity whether or not arising from the negligence of Ann Catherine Cross School of Dance, Inc. its employees and agents, program sponsors and facilities, including the Glen Allen Cultural Arts Center or any other person or organization associated with Ann Catherine Cross School of Dance, Inc., and the 2018-2019 production. I, the undersigned, have read this release/authorization and understand all of its terms. I execute it voluntarily and with the full knowledge of its significance. I have executed this release/authorization on the day and year stated below. I understand that the registration fee is non-refundable. I have also read the information packet and understand its content. When registering I am committing the student for the entire dance year session for either the Stars of Tomorrow, Artists in Motion or Show Biz program at Ann Catherine Cross School of Dance, Inc. If I decide to terminate my attendance at the school I must do so in writing by 15 October 2018. After this date I am fully obligated for the yearly tuition and any costume fees or dancewear fees that I accumulate. I understand that the installment payments are due at the school on or before the 7th of the schedule payment month or a $20.00 late fee will be applied to the account balance. All payments made to the account will be applied to any past due balances first. Therefore; if I have a past due balance (costume, dancewear, etc.) and make a payment for any monthly tuition the monthly tuition will be applied to the past due balance. I understand that my tuition will be calculated according to how many classes my child attends per week. The rates are listed in the previous read information packet for the 2018-2019 dance session. If my child enters the school after the 15 October 2018 termination date, I understand that my commitment is confirmed at the time, and that my yearly tuition will be pro-rated accordingly. If I choose not to complete this commitment, I will be responsible for any legal fees that occur in the event of collections for this debt. If this debt becomes 30 days past due, I understand that a 1.5% interested will be added to my account until the balance is paid in full. I give my permission for a representative of the Ann Catherine Cross School of Dance, Inc. to photograph and videotape my child in any performance that he or she may participate in affiliated with the Ann Catherine Cross School of Dance, Inc. It is my understanding that the video may or may not be sold or may be used for advertising purposes. I understand all of the terms of this release.